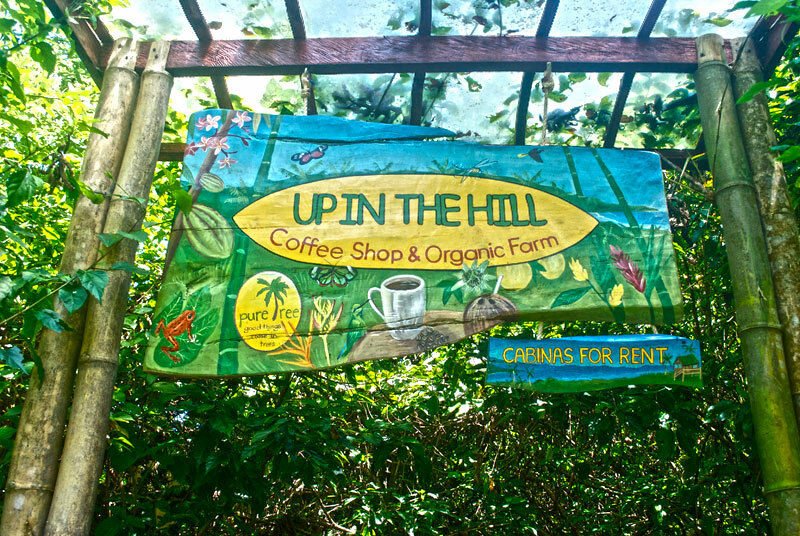 Up in the Hill is an organic farm perched on top the highest hill on Bastimentos Island with 360 degrees panoramic views of all the surrounding islands and mainland mountains. You can get to Up in the Hill by walking up from the town of Old Bank or from Wizard Beach, both ways is about a 20 minute walk and both ways are marked with signs. 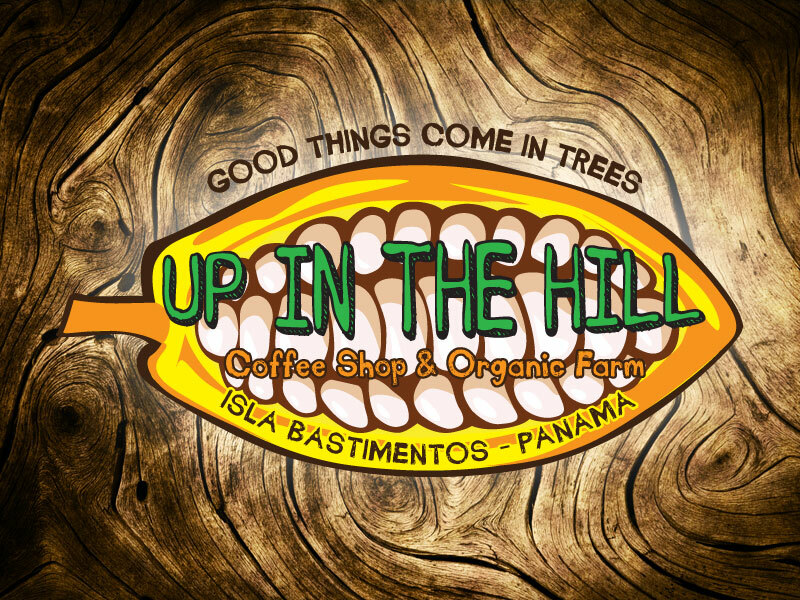 Starting in 2002, Up in the Hill was mainly a cow pasture with a small cacao and coconut plantation. 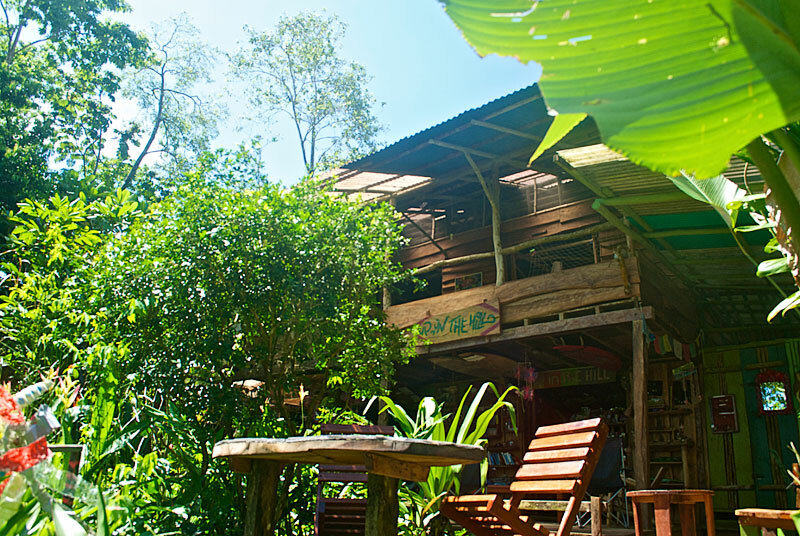 Now its an amazing farm with everything- fruits and vegetables, hard wood trees, bamboo specific for high quality construction, and an abundance of cacao. 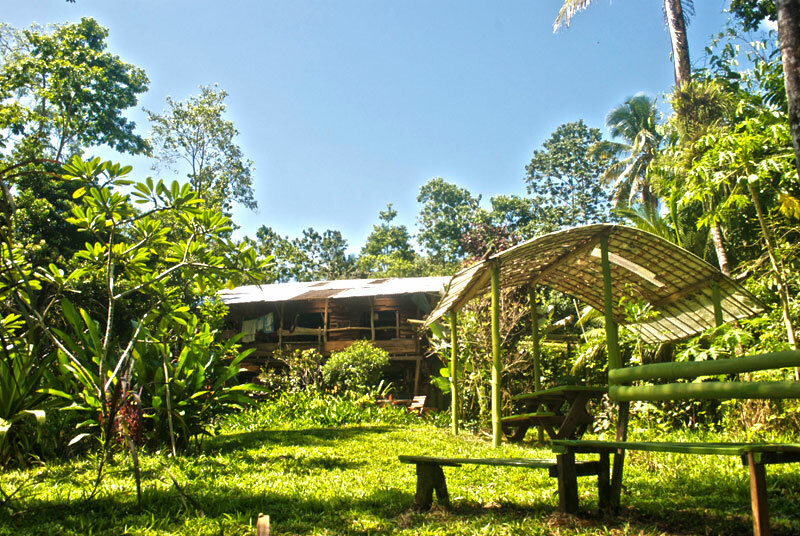 This eco-friendly farm holds great respect for the environment- their energy is provided through solar panels and they use a rain catchment system for water. 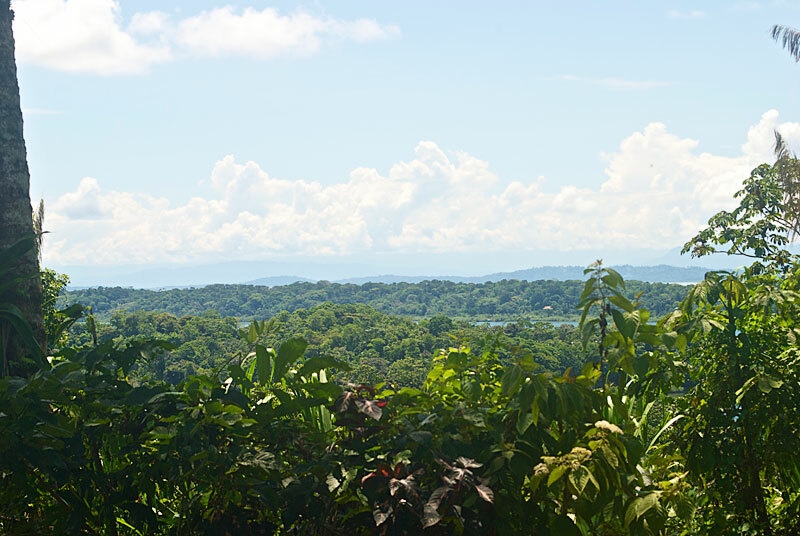 During the dry season, fresh spring water is used as a back up source. 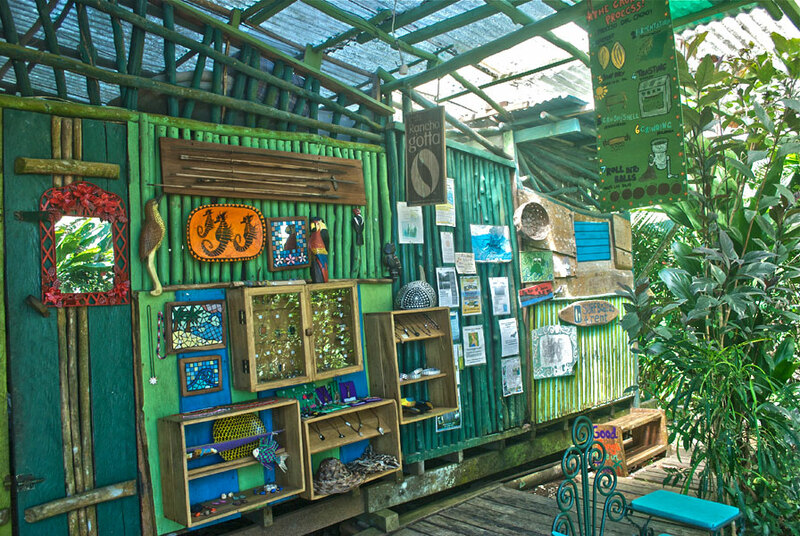 Everything is recycled and almost all the wood used in the construction of everything comes from their reforestation project. 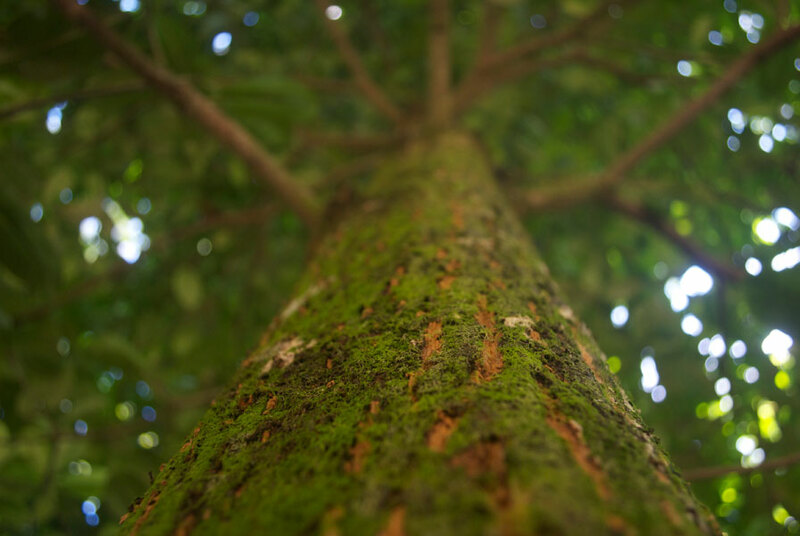 Local woods such as Laurel, nispero, and cedar were planted in large quantity. 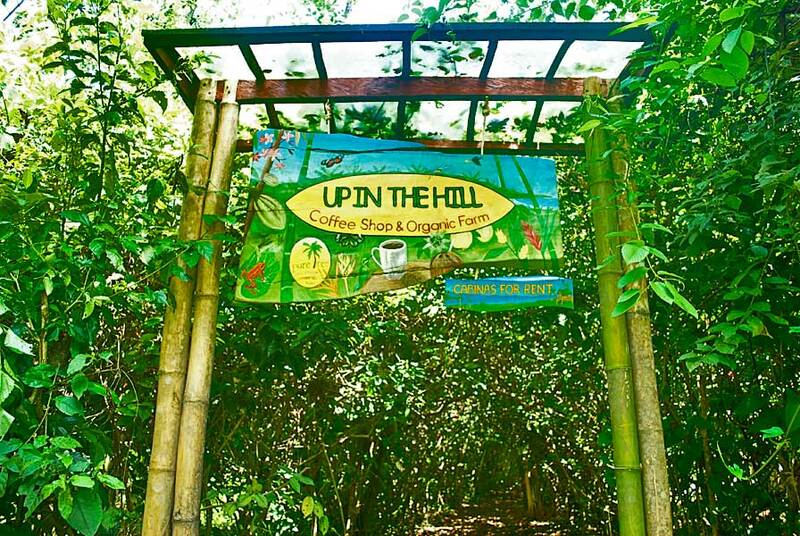 The Coffee Shop offers a menu of natural drinks taken from the farm such as teas, chocolate drinks, and homemade kombucha tea. Don’t miss out on their natural juices, such as jack fruit, pineapple, passion fruit and the miracle fruit noni. 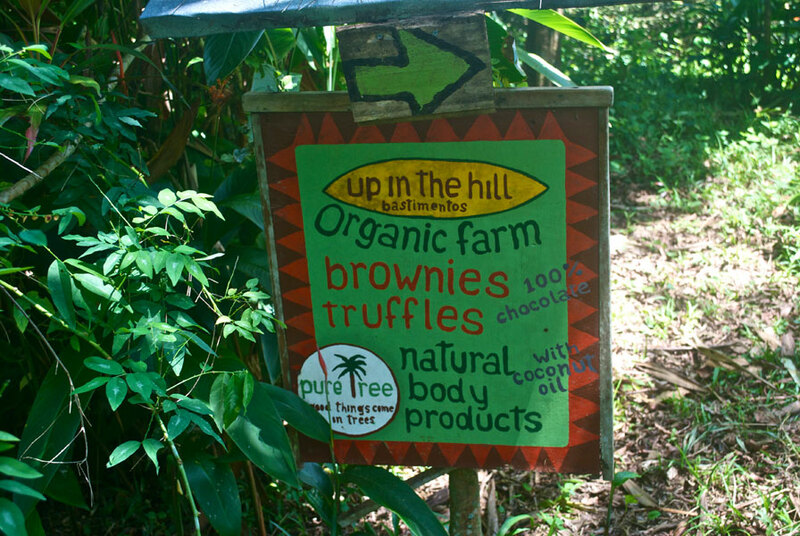 One of their favorite treats is the delicious brownies and truffles made from 100% pure organic cacao. 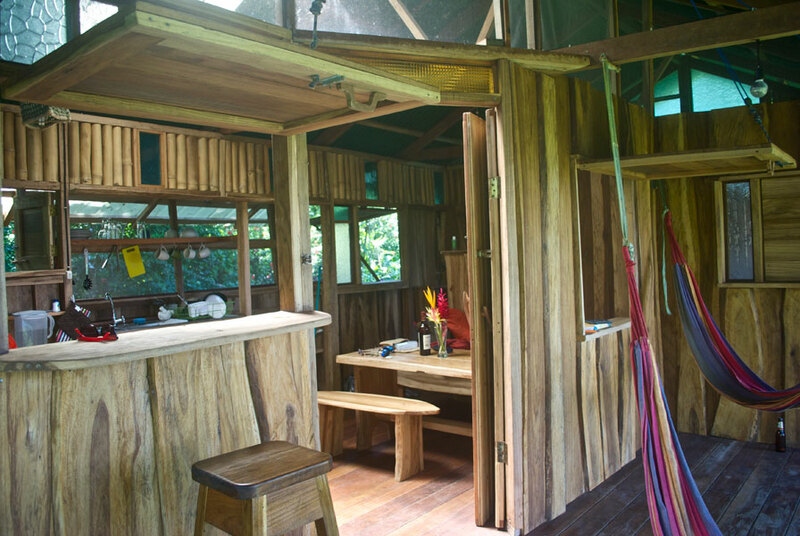 Located also at Up in the Hill are their cabins, all hand made by the owners. 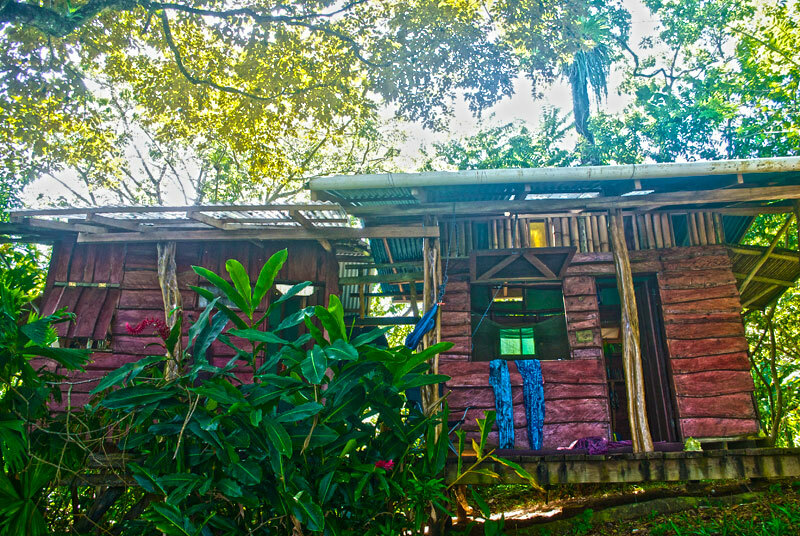 Two cabins sit on a bluff overlooking Paunch and Bluff Beach on Isla Colon and the Caribbean Sea. 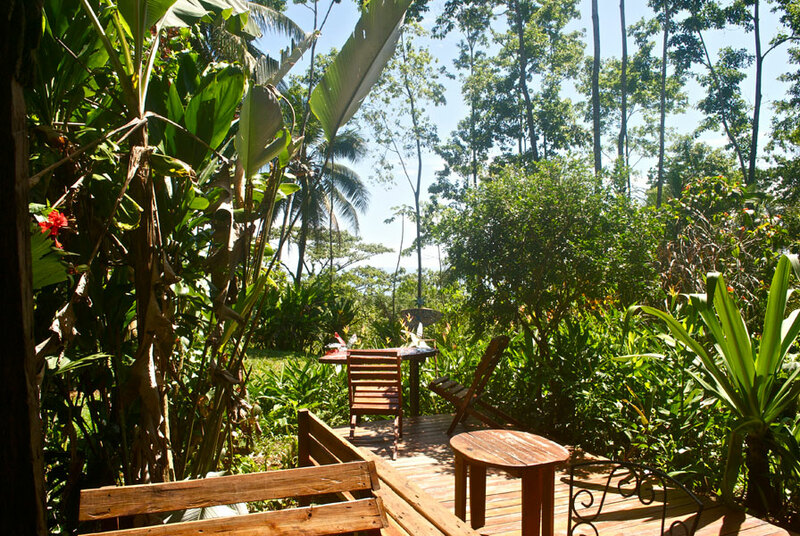 The cool Caribbean breeze and the shade from the tall trees will provide a comfortable setting. 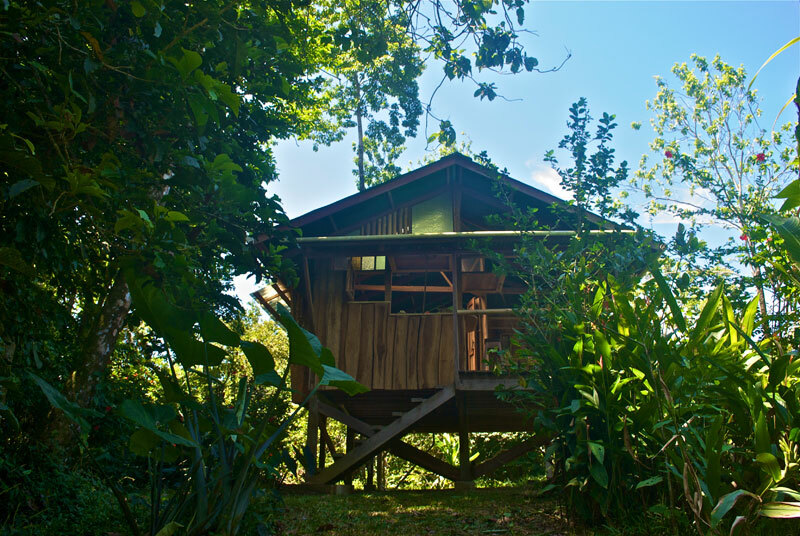 Both cabins offer a complete kitchen, semi-orthopedic mattresses, private baths with hot showers, hammocks and decks with amazing views. 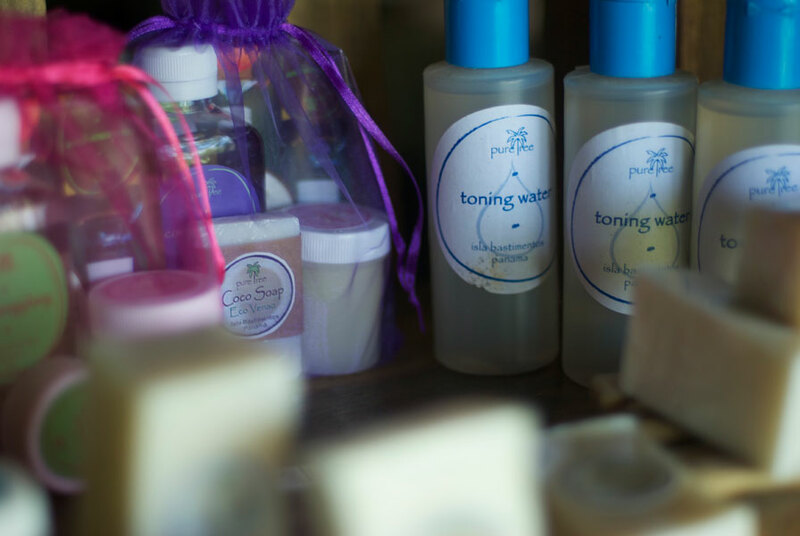 Handmade and bottled at Up in the Hill their Natural Body Products come straight from their organic garden. 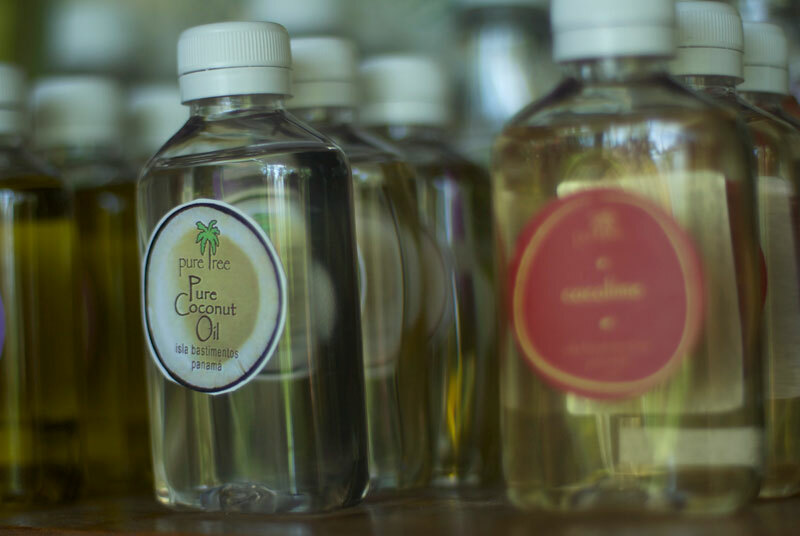 Pure organic coconut oil infused with flowers, roots, grasses and seeds is the base of every product they make. 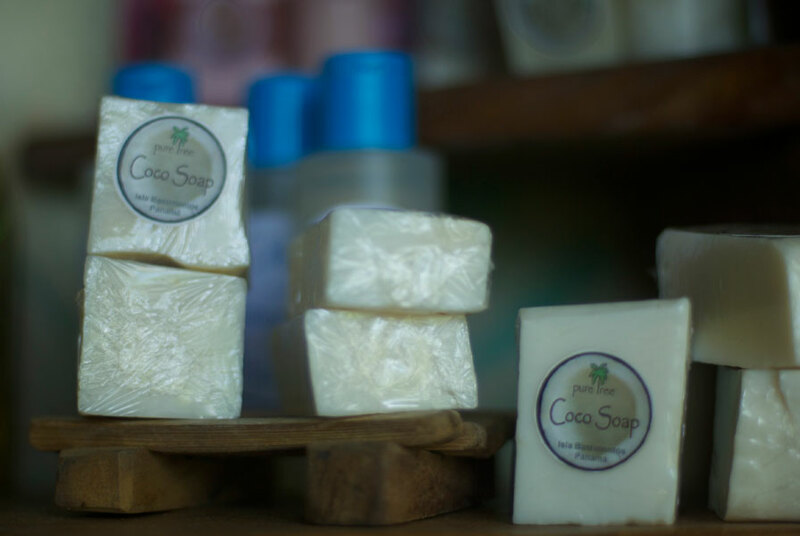 Check out their massage oils, balms and salves, soaps and shampoos, and insect repellents and bite relief products. 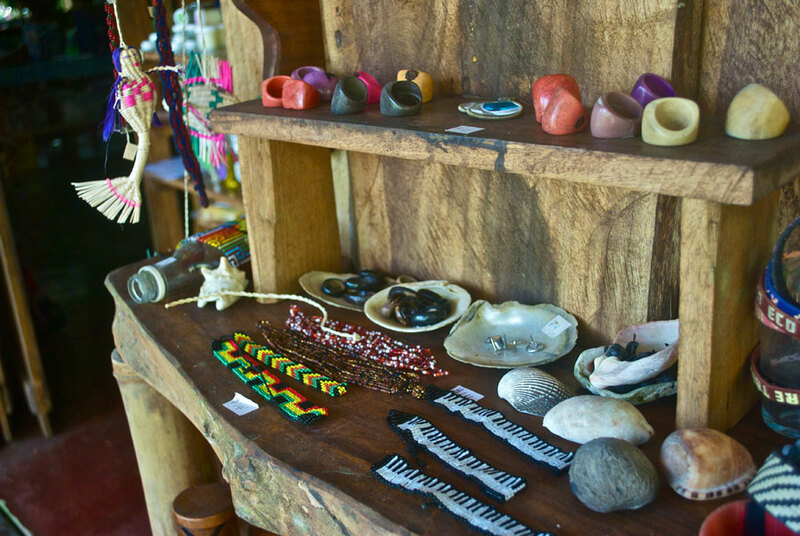 You can find their products the best Bocas del Toro stores and gift shops. How do you contact them for Cabana rates? 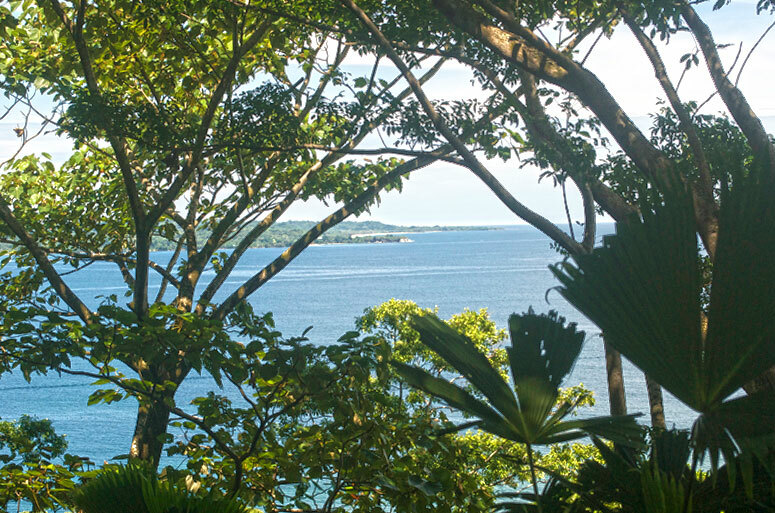 Contact us: visit@bocasdeltoro.travel and on the actual page above you can see rates. Sorry I meant to ask… How do I contact them for reservations? 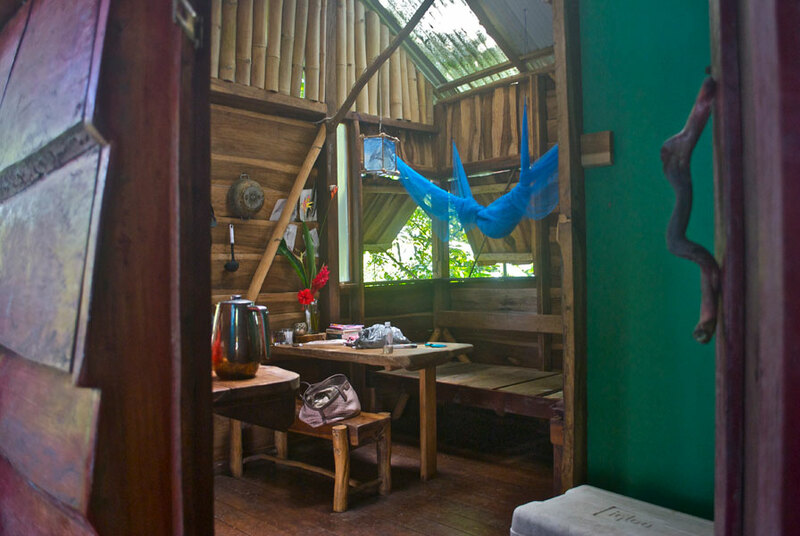 We would like to rent a Cabana for the month from 14 Feb to 16 March. We are two adults with two children (3yr and 1 year old). Also is internet access available? 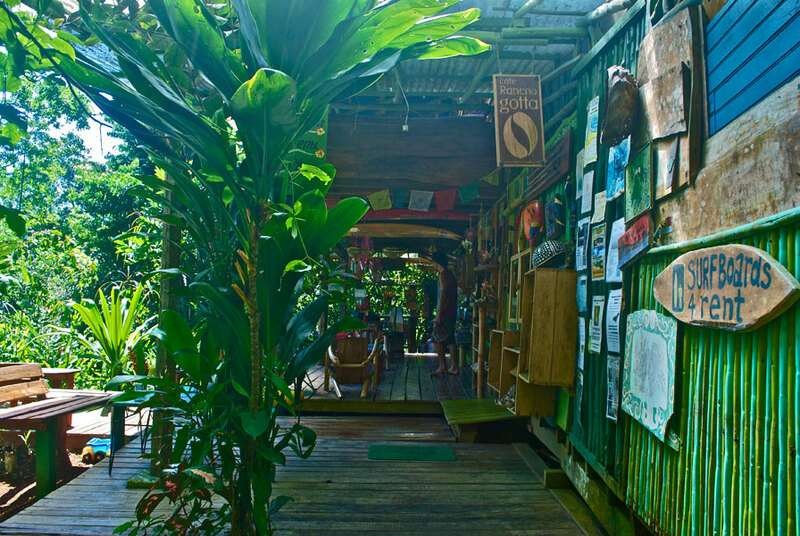 Contact us: visit@bocasdeltoro.travel for reservations.